Niantic will announce sponsored Pokemon Go locations "in the future." 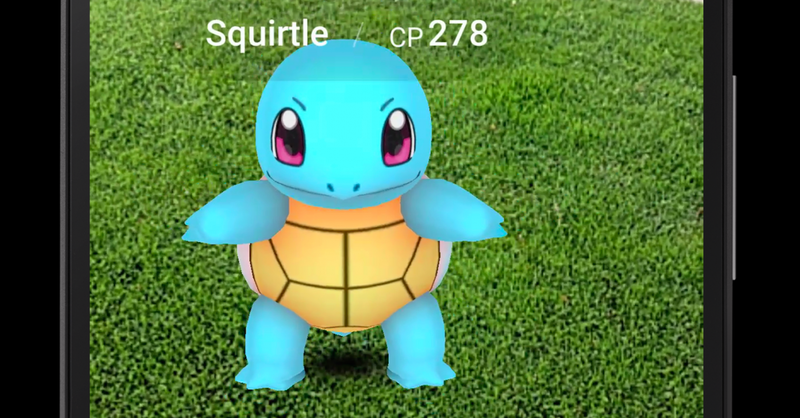 While Pokemon Go is technically a free-to-play game, the included microtransactions have proven to be quite lucrative for the game, with reports indicating that Nintendo shares surged 25% since the game's launch, adding around $7.5 billion to the company's market value. One equity analyst said that the estimated turnover for the game on day one was around 400 million to 500 million yen ($3.9 million to $4.9 million). However, Niantic is now exploring new ways that the game can bring in money, hopefully sparing everyone unwanted ads - and the first is, unsurprisingly, sponsored PokeStops. Speaking with The New York Times, Niantic CEO John Hanke said that the developer will announce sponsored locations for the game in the future. This is unsurprising, considering a number of different establishments are already using the game to draw in customers. For example, Brewer's Pizza in Orange Park, Florida is a PokeStop, and a Facbook post was made inviting players out for nonstop lures on Monday (lures are devices added to PokeStops which attrack Pokemon to the location, but unlike incense, other players are able to benefit from it). Atlanta coffee shop Huge, which sits between two PokeStops, is also using lures, but took it a step further - they added 25 phone charging stations after learning that the game drains battery quickly, and offered a free appetizer to anyone who shows that they caught a Pokemon in the shop. My favorite, however, is the Muncie Animal Shelter in Muncie, IN, which is encouraging players to stop in the shelter and take one of its "Pokemon dogs" for a walk while Pokemon-ing. In other Pokemon Go news, Niantic recently confirmed that trading will be making its way to the game in the coming months, since it is "kind of a core element" of Pokemon.